This is uncharted territory for the Detroit Red Wings. After struggling for most of the season, the Red Wings had already backed themselves into a corner once the calendar turned to 2017. Now, with the 2017 NHL Trade Deadline looming, Detroit has all but solidified their stance as a “seller,” considering their last-place standing in the Eastern Conference. If the Red Wings were able to defeat the New York Islanders on the eve of their bye week, then, perhaps, they’d stand pat at the deadline and push for a 26th consecutive playoff appearance. But given the lack of sellers and a need to rebuild, GM Ken Holland would be wise to consider dealing a few players. 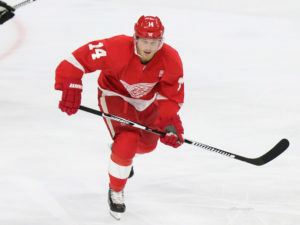 Despite the fact that he’s serving a six-game suspension, there’s an outside chance winger Gustav Nyquist is dealt to a contender at the trade deadline. With up-and-comers Andreas Athanasiou, Dylan Larkin, and Anthony Mantha deserving of top-six spots alongside holdovers Henrik Zetterberg, Frans Nielsen, and Tomas Tatar, Holland could trade Nyquist and his $4.75 million cap hit for prospects, picks, or part of a package for a top-four defenseman. For those who miss out on the Kevin Shattenkirk sweeps, Brendan Smith could be an affordable second option. Smith only carries a $2.75 million cap hit through this season before becoming an unrestricted free agent this summer. He provides speed and the ability to join the play when paired with a responsible defender. Smith would be a great rental addition to a playoff-bound team’s third pairing in exchange for a second or third-round draft pick. This, of course, changes if Detroit signs Smith to an extension before the March 1 deadline. As the playoffs approach, teams will look to acquire spare parts to round out their rosters. Steve Ott is the perfect sandpaper/locker room player to have in the postseason. He loves coming to the rink every day and will be a great mentor to young players if moved to a new team. Ott can also play all three forward positions, win faceoffs, and kill penalties when asked to do. His 4.38 power play goals against per 60 minutes rate is best among Red Wings forwards with at least 50 minutes of penalty kill time this season, per stats.hockeyanalysis.com. Perhaps Ott could fetch a mid-round pick at the deadline? 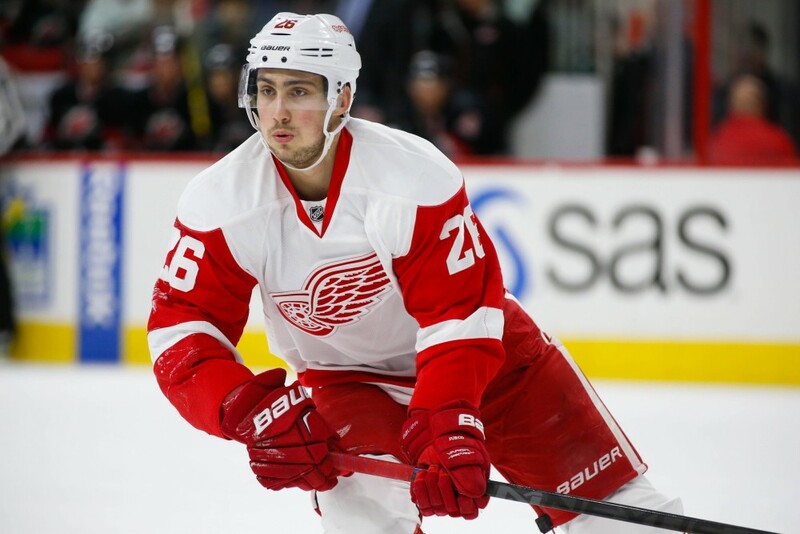 Earlier this season, Tomas Jurco requested a trade from the Red Wings. It’s a fair ask considering how little the former second-round pick has played over the past two seasons under Jeff Blashill. In those few games, Jurco has failed to produce, prompting even more time in the stands. 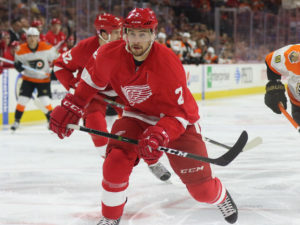 The ideal trade situation for Jurco would be if the Red Wings could find a suitor with their own struggling prospect – perhaps one who could be sent down without waivers – and give the two young players a second chance with a new franchise. After signing a low-risk, one-year contract this summer, Thomas Vanek has been incredible for the Red Wings this season in a top-six role. His 38 points rank second on the team, only trailing Zetterberg. Vanek’s offensive prowess, right-handed heavy shot, and power-play performance make him the ideal trade deadline rental. It would not be out of the question for Detroit to receive a first-round pick or solid prospect for the Austrian winger. 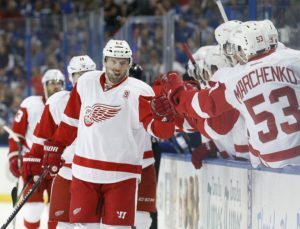 After a trade, the Red Wings could attempt to re-sign Vanek in the offseason given his love for the team. Which Detroit Red Wings player would you prefer to keep over their expected trade return? Comment below with your thoughts.